Regardless of whether or not it's a commercial success, no phone is likely to receive as much buzz as the Galaxy Fold in 2019 (at least not until Apple announces its latest iPhones). If this is not a special case and all of the Galaxy Fold units will look the same, it may be that Samsung has so far been unable to create a perfectly flat screen surface for the "tablet" mode of operation. Recently, the phone was sold out in Hong Kong within two weeks of its launch. It's still jarring to see a small, undersized display on a flagship smartphone, even if the design of the device necessitates its existence. Granted, there is a light ring animation that around the in-display front camera area when you do face recognition and such, but it doesn't serve a notification objective just yet. The Galaxy Fold has plastic protection on top that is undoubtedly more prone to bends and creases over a short period of time than a glass panel. 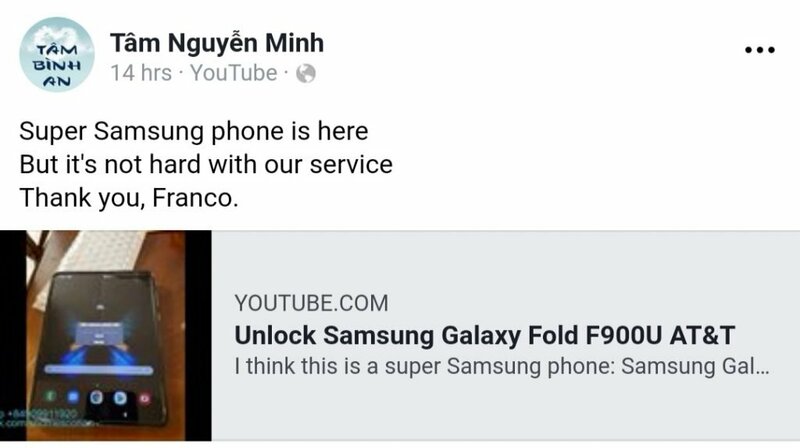 On the other hand, this could be wishful thinking and the problem might affect every Galaxy Fold unit planned for release. The Galaxy A40 features a 5.9-inch FHD+ Super AMOLED display. The display supports QHD+ resolutions and 19:9 aspect ratios and is HDR10+ certified. As for the memory configuration, the S10 will be available with 6GB/8GB RAM and 128GB/512GB storage while the Galaxy S10 Plus comes with 6GB/8GB/12GB RAM and 128GB/512GB/1TB of native storage. The smartphone sports a 16MP main sensor with LED flash and a 5MP secondary ultra-wide camera with f/2.2 aperture. It will come with the traditional 3.5mm headphone jack and USB Type-C charging port, the report adds. The Galaxy A20 is backed by a 4,000mAh non-removable battery. That U-shaped notch is home to a 25MP front-facing camera, and the back features a dual-camera setup of is 16 MP + 5 MP.